Save £1.45 on Bulletin Place Shiraz! For a limited time, Bulletin Place Shiraz is just £7.50! This is a classic South Eastern Australia Shiraz with all the hall-marks you get from going down-under. Spicey and soft, this wine is great with grilled meats and cheeses. With the weather hotting up for summer, Shiraz is the perfect accompaniment to your BBQ! It’s time for our next monthly Wine Tasting! On Saturday 22nd June, we’ll be visiting Australia – with 5 wines from down under. Join us anytime from 2pm onwards until 7pm for a FREE wine tasting. There’s no obligation to buy, but all tasting wines will be 10% off on the day. We’ll also have lots of new offers for you with plenty of new wines to browse. New Wines & Offers Online! As the weather starts to warm up (finally! ), we’ve got some fantastic new wines and wine offers in store and online! We’ve got new stocks of the popular Santa Louisa Syrah that we had in-store earlier in the year. This is a great value wine and a perfect light accompaniment to steaks, Italian food and cheeses. With 22% off at £6.95, you really can’t go wrong! The Murphy’s ‘Big Rivers’ Chardonnay is also on offer! The Henri Nordoc wines have been a staple line in our shop and now we’ve added them online as well! To shop online, visit our online shop at www.thevillagevine.co.uk/shop or come and see us in store! Chilean Wine Tasting – Next Saturday 27th April! On Saturday 27th April, we’ll be visiting Chile – with 5 wines from the South American country. Real Wine Tasting This Weekend! Join us for our monthly Wine Tasting This Weekend! 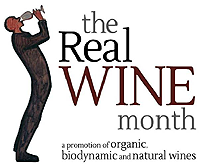 …to tie in with The Real Wine Month promotion we’ll be tasting some individual natural wines from France, Italy, Chile & Argentina. An increasing number of people are seeking out more minimal intervention, ‘real’ wines from smaller winemakers. Here at The Village Vine, we have always stocked mainly artisan wines from these very producers, although not all would fall under the ‘natural’ wine bracket. Remember, in order to spread the tasting wines evenly, they are limited to 2 btls. (of each) max. purchase on the day, but of course will be available (in varying quantity) thereafter. We very much hope you can join us this Saturday, if not, pop in soon and see our excellent range. (Including the best range of Local Beers + Cider and premium Spirits & Liqueurs!). Plus, remember we offer national delivery at competitive rates. (custom-made gift-boxes: 1, 2, 3 btl, or 6/ 12 btl. cases). To shop online, visit our online shop at www.thevillagevine.co.uk/shop!